Let’s visit the National Parks of Japan! 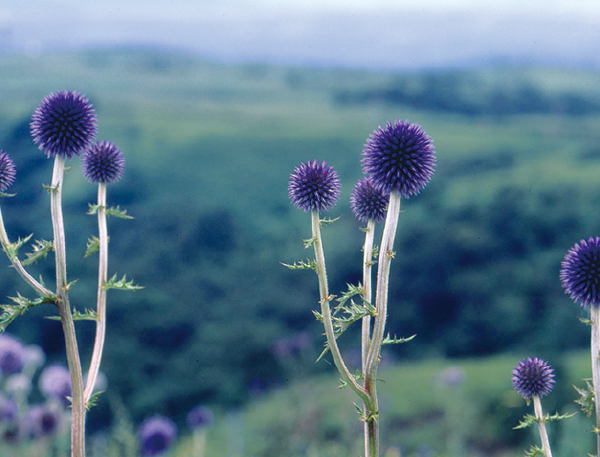 Kuju is well-known for its landscape of grasslands stretching on without end. The soil of pyroclastic sediment formed by volcanic activity is populated with Japanese pampas grass and other tall grasses. The practice of “grassland burning” has been carried out here for a long period of time with the aim of maintaining the expansive landscape of grasslands used for pastures. Precious plants and animals unique to grasslands thrive in this environment. 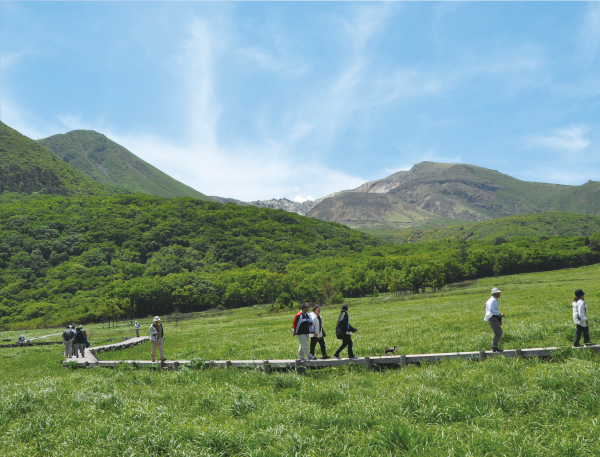 Visitors are encouraged to experience one of the few grassland environments in Japan created through both human activity and the natural environment. Compared to the massive caldera of Mt. 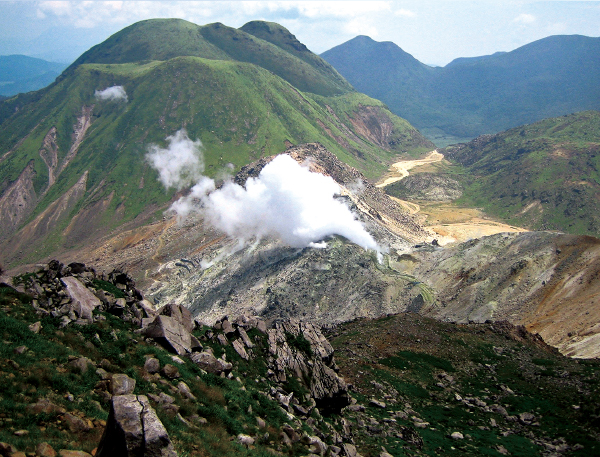 Aso, the mountains of Kuju are characterized by a mountain peak landscape composed of over 20 dome-shaped volcanic bodies. This magnificent mountain range, which consist of a chain of mountains around 1,700 m above sea level, is known as the “rooftop of Kyushu.” Volcanic gases can still be seen rising up in certain mountain locations. Hatchobaru features a power station that boasts the largest geothermal energy output in Japan. The area is also home to a large number of nationally-renowned hot springs, and impresses visitors with the great bounty of the land. The Bogatsuru Marsh and Tadewara Marsh have a combined area of 91 ha, the largest area in Japan for an intermediate marshland formed in a mountainous area between 1,000 and 1,200 m above sea level. The marshland was registered as one of the Ramsar Convention Wetlands of International Importance in 2005 for the plants that reflect the diversity of the geography and topography distributed here. Tadewara Marsh, which is adjacent to the Chojabaru Visitor Center, also features a wheelchair-accessible wooden path, thus allowing everyone to experience the nature of the area.